BULAWAYO City Council is on high cholera alert following the declaration of a cholera outbreak in Harare on Thursday. BCC senior public relations officer Mrs Nesisa Mpofu, responding to questions from The Chronicle yesterday said the city had set up a task force in readiness for a possible outbreak in the city. "The City of Bulawayo is also on high alert as we continue to monitor water quality to ensure that our water is safe for drinking. In the event of a communicable disease case such as cholera or typhoid, the City of Bulawayo has a hospital ward set aside for such diseases at the infectious diseases hospital, Thorngrove. "To also prepare for such emergencies, the City of Bulawayo crafted an Emergency Preparedness and Response Plan (EPRP which outlines the frame work of dealing with such epidemics should one arise in Bulawayo and ensures that the city is prepared for such emergencies. "In cases of diarrhoea or suspected typhoid or cholera, patients are encouraged to visit their nearest (or preferred) health facility and all private practitioners must report any such case to the City Health Department," said Mrs Mpofu. She encouraged residents to desist from drinking unsafe water and buying cooked food from unlicensed places. "Residents are encouraged to desist from using unsafe sources of water such as wells and boreholes for potable use. The City of Bulawayo also does not permit the sale of uncooked or cooked foods from vending sites. We license informal traders and one of the licensing requirements is a Health Certificate for anyone selling foodstuffs," she said. The city council urged the travelling public to practise high standards of hygiene and to properly prepare meals. "The City of Bulawayo would like to encourage the residents and the travelling public to practise good hygiene. It should be noted that cholera and typhoid are both water borne disease with similar mode of transmission. Undercooked food is a common source. "The diseases are spread mostly by unsafe water and unsafe food that has been contaminated with human faeces containing the bacteria faeco-oral. Residents and travellers are urged to ensure that they take care to drink from safe sources of water as well as eat well-cooked food. They are advised against buying food from unauthorised establishments," said Mrs Mpofu. Mrs Mpofu urged residents to seek medical attention as soon as possible if they encountered symptoms of cholera, which she said has a shorter incubation compared to typhoid. "It should be noted that the variance between typhoid and cholera is on their incubation period. 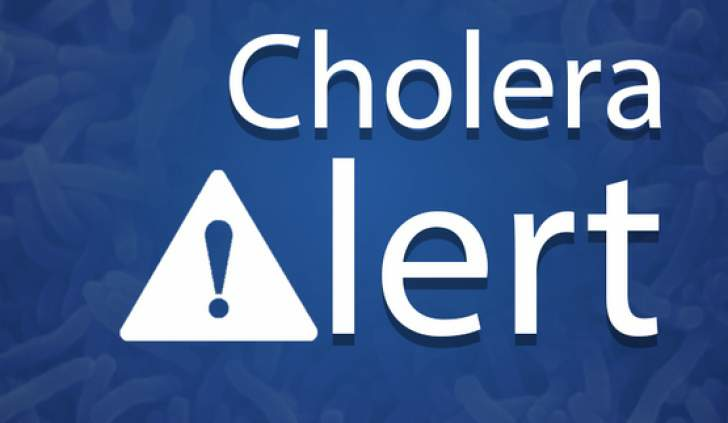 Cholera is a fast growing organism with a short incubation period. "When a person contracts cholera they are sick within a matter of hours and if not treated will have diarrhoea and vomiting and then die. Cholera infection is spread quickly," said Mrs Mpofu. She advised the public to feel free to drink municipal water as it was treated and safe. "Cholera is a notifiable disease and any suspected cases should be reported to the nearest health care facility. Our health promotion office carries out awareness campaigns within the community. It should be noted that most Bulawayo residents use municipal water for potable use, and this water is safe. Residents are encouraged to desist from using water from unsafe sources of water. In the event of using borehole water or water stored in containers residents are encouraged to boil before use," she said. "We also continue to encourage residents to practice good personal hygiene such as washing hands after using the toilet, eat food from reputable sources, ensure fruits and vegetables are washed before consumption. All containers used for storing water must be thoroughly washed and the containers must be covered with a lid at all times," said Mrs Mpofu.